When the paddle gets lost, open waters can become very dangerous. Our sturdy paddle leash consisting of a 25 mm tubular strap with integrated rubber cord keeps your paddle safe to the boat. 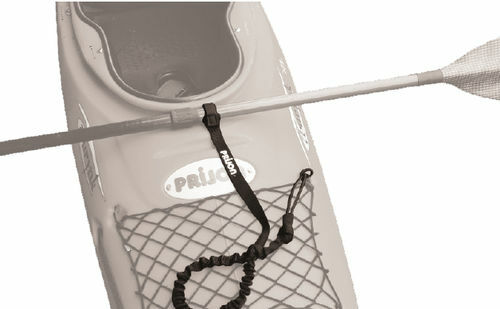 It is attached to the paddle with a belt loop with Velcro closure.